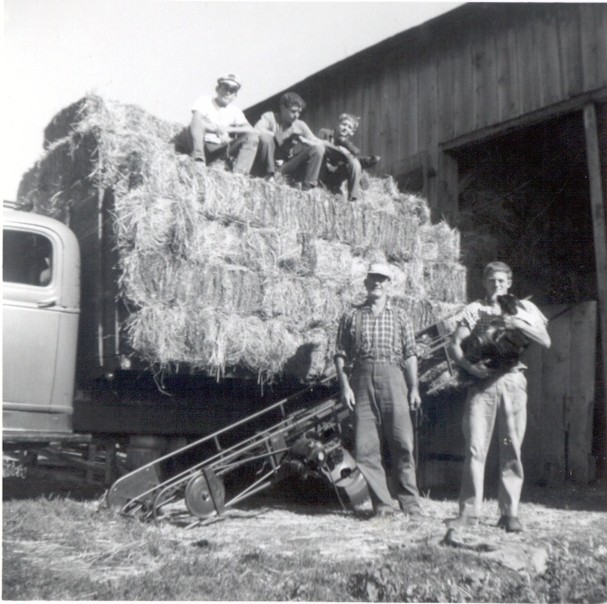 Vernon boys during hay harvest on Joe Vernon's farm in 1961. Top of Hay: Douglass Brown (Doris' son), Douglass (Joe's son), Wayne (Joe's son). Bottom: Joe Vernon, William "Bill" (Joe's son).